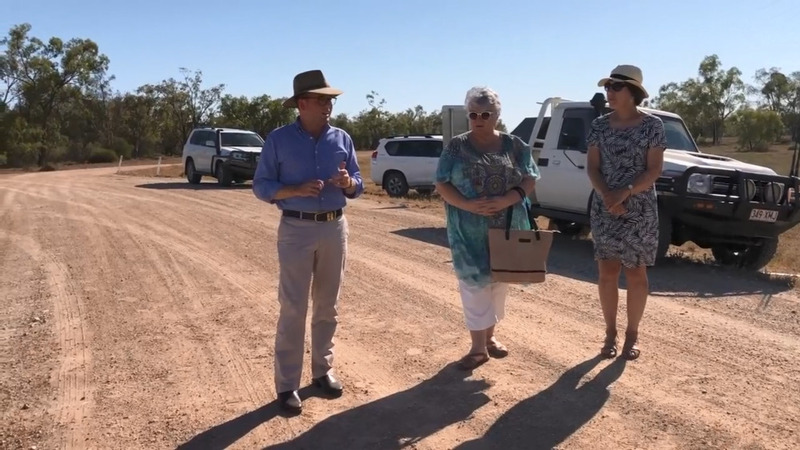 It’s been a hard-fought battle but today the State Government announced an additional $10.5-million to seal Carrigan Road between Boomi and Mungindi. It takes the total investment along the primary route to around $14-million. Laying tar along the 58-kilometre stretch will ensure locals and emergency services can use the road safely – rain, hail or shine. It’s also expected to add to the region’s already high productivity. “There’s over $30-million worth of produce that comes off farms that link in with this road, each and every year,” Adam Marshall, Member for Northern Tablelands. And there are hopes once the bumps are gone, tourism will see a welcome increase. “Between the Boomi hot Artesian pools and the Mungindi Artesian pools, connecting with Moree’s so it will make that a more available route for tourists,” Councillor Sue Price.